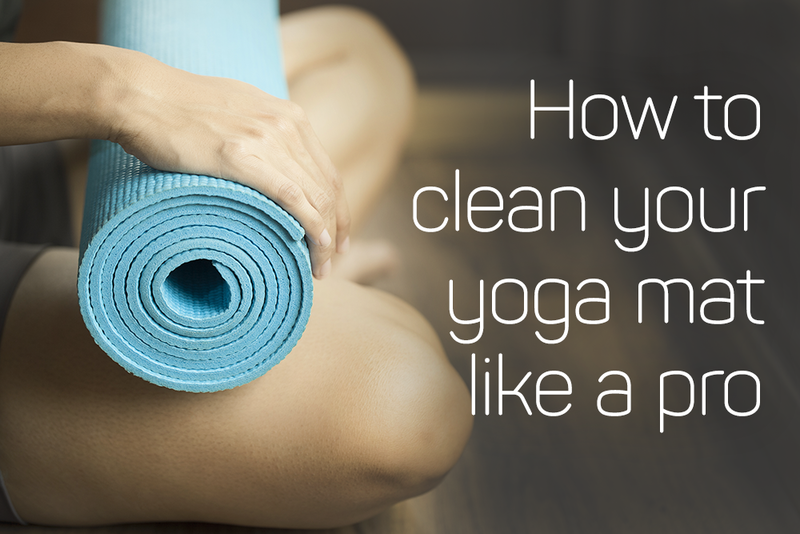 Time for a real question: have you ever cleaned your yoga mat? I’m guessing some of you are sheepishly thinking no. And even if you have cleaned it before, it’s hard to keep up on it on a regular basis. But after several yoga practices, you may want to consider it. Here are four easy ways to get started. Interested in learning more about yoga? Try some of our yoga workouts! If you don’t have a glass spray bottle, buy one. Combine a couple drops of tea tree oil, peppermint oil and lavender oil with distilled water. Spray the whole mat and wipe it down with a hand towel. If your mat seems especially dirty, let the cleanser sit and soak in a bit before wiping it down. Take the mat to the tub for a more thorough cleaning. Run some warm water over it, a little bit of mild soap, like Zum organic soap, and use your hands as a sponge. Rub it down thoroughly, rinse it off, and hang it outside to dry. Throw it in the wash.
Clean your mat like you clean your clothes! Just throw it in the wash with cold water on gentle, then hang it outside to dry. Remember how dirty your mat was after your last outdoor yoga session? This simple solution keeps that dirt from transferring to the clean side of your mat. Easily fold your mat in half (top meets the bottom) and then roll it up. That way, the bottom of your mat never touches the clean side! Now you know how to clean a yoga mat and can feel much more refreshed at your next practice!